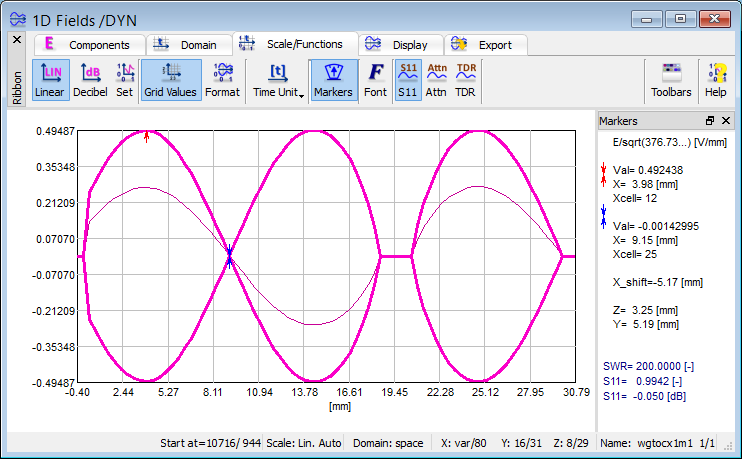 QuickWave allows calculating the absolute value of the reflection coefficient (|S11|) in the considered part of the circuit. This feature is available in the 1D Fields window, after switching to space domain. The value of |S11| is calculated after placing the markers (cursors) in the maximum and minimum of the field component envelope line and activating S11 function. The same S11 function enables also calculation of the SWR if markers are placed at the maximum and minimum of the envelope line. The attenuation between two points in the circuit. This feature is available in the 1D Fields window, after switching to space domain and activating Attn function. 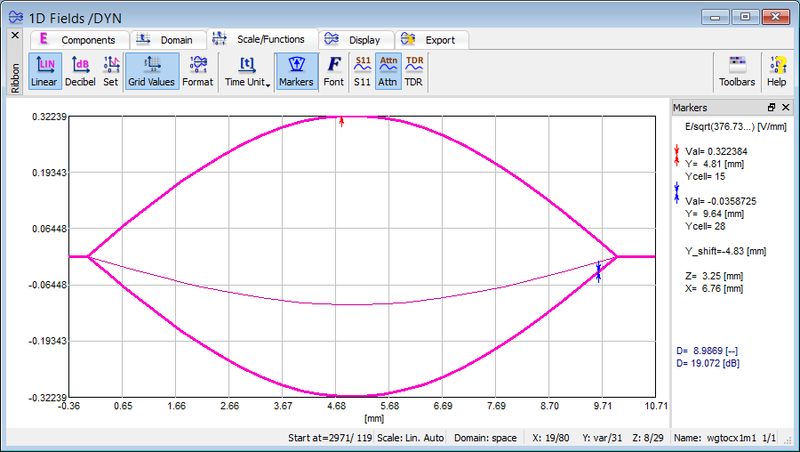 The attenuation is calculated between two point indicated by the markers (cursors). See also online documentation about Attenuation, S11, and SWR.